A cryptic crossword themed after George R. R. Martin’s epic fantasy series A Song of Ice and Fire. This is about as good and polished a cryptic as I can make it. 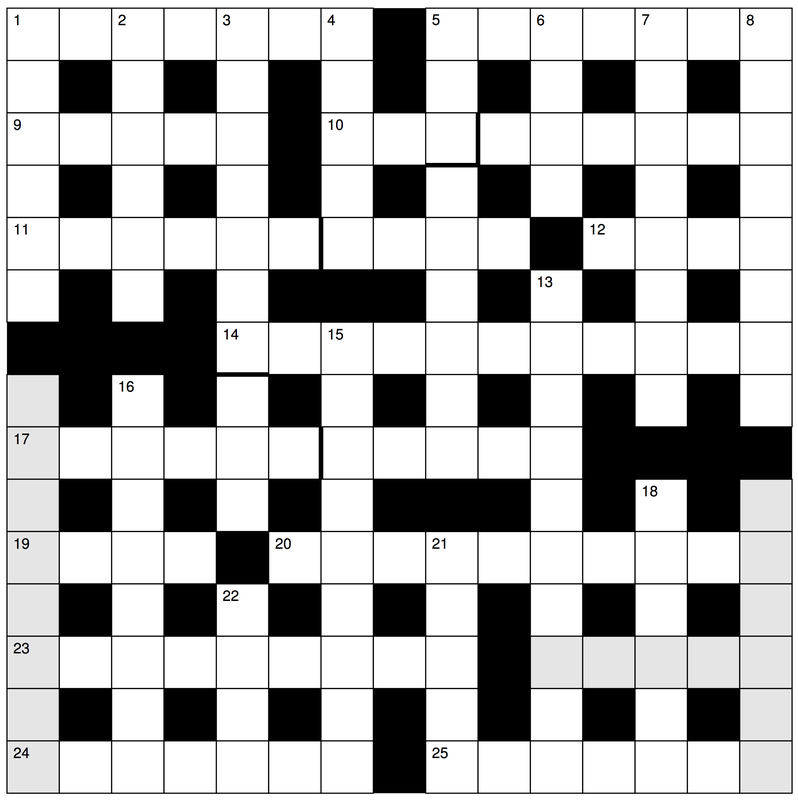 Earlier drafts were run by the Facebook group Cryptic Crossword Society, which generated useful feedback. Enjoy! Three entries are unclued, they form the puzzle’s solution. [Whole thing as a single PDF for printing]. Solution. This entry was posted in Crosswords, Silly on July 31, 2014 by thorehusfeldt.